Jim Pettinger of Sherbrooke Liquor says he’s got three new offerings: Brewer’s Choice, an IPA and a brown. Jim also says Roughneck has switched from cans to bottles. Roughneck was previously known for two fairly mainstream brands, Drillers Ale and Pipeline Lager. Just a clarification. 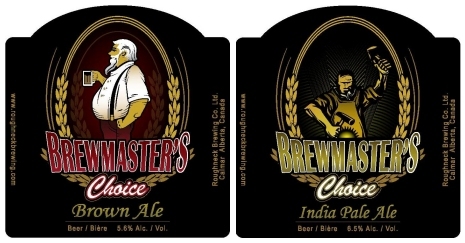 Roughneck is releasing TWO new beer – under a new brand called Brewmaster’s Choice. One is a brown ale and the other is an IPA. I haven’t tried the beer yet but the comments from the brewery suggest the beer will try to match style profiles. Thanks, Jason. I’ve retitled the post and added an update accordingly.